After graduating from the University of Texas with a degree in accounting, Bob spent the next five years in the data processing industry. In 1974 he founded Data Systems under the guiding principle of treating both his customers and his employees as he would want to be treated. Over 40 years in business has proven the value of that concept, as evidenced by the many long- time customer relationships and the average tenure of the employees of over fourteen years. 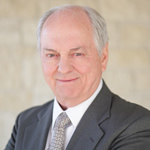 Learn more about the founder of Data Systems of Texas by clicking HERE . Greg represents the next generation of McEacherns to lead Data Systems of Texas. Greg first joined Data Systems in the ‘90s as a college student helping with the nightly processing for credit unions. 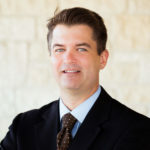 After graduating from Baylor University, he joined a multinational organization holding various leadership roles in Texas, Europe and the Middle East. Greg returned to Waco in 2007 to join the family business and start a family of his own. He served as Call Center Manager for four years implementing systems and training programs that turned a great customer service team into a superior customer service team. He then moved into the role of Regional Sales Director helping to bring on new clients in Texas and Louisiana. In addition to his Data Systems management responsibilities, Greg also serves on the Sharetec design group. With the help of a strong and tenured management team, he is passionate about building the next 40 years of Data Systems and Sharetec! Greg is married to Lindsey and they have three kids: Addyson, Caleb, and Emma Grace. Vance has over 34 years of experience leading successful organizations to achieve financial and operational excellence. After graduating from Kansas State University, he joined the audit division of Ernst & Young as a Certified Public Accountant. He then joined Thomas Nelson (a NYSE publishing and media enterprise) where he served in various capacities over the next 25 years ultimately leading all operations and finance areas as Chief Service Officer. In 2015, Vance joined the Data Systems management team. He is passionate about service excellence and continuous improvement. Vance is married to Thresa Lawson and has four children and ten grandchildren. 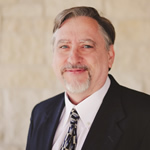 After serving in the US Military, Richard graduated from UT-Arlington with a BBS in 1975. He has spent his entire 42-year career since in the credit union industry. His first experience was in the data processing department of the Texas Credit Union League. He accepted a position as CEO at BEPCO Credit Union in Waco in 1978, then in 1983 became CEO at Waco Telco Credit Union (now First Central). 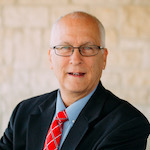 Richard came to Data Systems in 1994 as a Sales Representative for the Sharetec Credit Union System and was responsible for six Southwest states. 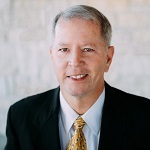 Over the years, Richard held a number of positions with Data Systems, retiring as COO in 2015. Richard has since returned to Data Systems to serve as Sales Manager. During his tenure at Data systems, Richard has been heavily involved in software development and has served as a member of the Sharetec Design Group since its inception. His involvement in every aspect of the Sharetec software – design, support, and day-to-day use – gives him a unique perspective on system development. Richard and his wife, Kathy have two children and three grandchildren. Dave is a gifted, proven business leader with experience leading domestic and international businesses. 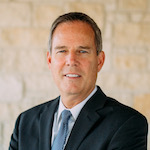 Since graduating from Baylor University with his BBA, Dave has spent more than 35 years guiding small, medium, and large companies through creative start-ups, mergers, acquisitions, strategic alliances, and other business partnerships. Dave and his wife Melinda have been married for 33 years, and have three children and one grandchild. 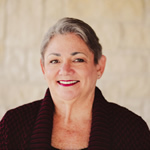 Since 1980, Janette has served as Business Manager for Data Systems of Texas. While her job description is complicated – accounting, system installation, human resources, customer support, etc. – her role is easy to explain: she keeps Data Systems running like a well-oiled machine. Her contributions to our growth and success cannot be overstated. Janette and her husband live in Waco. In her spare time, Janette enjoys serving college students, volunteering in activities through her church, and watching her grandson play soccer. 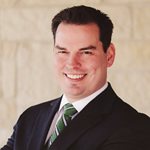 Brian graduated from Baylor University in 2002 with a Business degree in Information Systems. After graduating, Brian started working with a small IT services company as the second employee. Brian spent the next 13 years growing that small IT services company from 2 employees to over 40, making it a highly recognized and awarded Managed Services Provider. 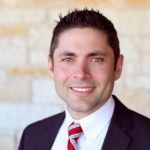 Brian joined Data Systems in 2016 bringing 13 years of experience in Business Leadership, IT Management and Planning, Financial Management, and Strategic Planning to Data Systems’ valued customers. Brian is married to Luci, a Baylor Professor, and has 2 children. Foy joined Data Systems in 1983 as a programmer. He was present when Data Systems helped form the Sharetec Software venture and has been heavily involved in its development and support ever since. His department’s duties include data conversions, software technical support, custom programming for 3rd party interfaces, and new release deployments. 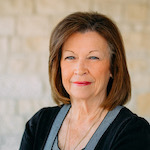 Jan joined Data Systems of Texas in October 1989. When DSOT began specializing in credit union software, her accounting background made her a candidate for installation and support. Jan’s comprehensive understanding of the Sharetec software led to her move to Level 2 support. With her extensive experience in conversions and projects, Jan now holds the position of Project and Installation Manager. Gary has 38 years’ experience serving Financial institutions. He first worked 17 years for EDS doing bank conversion, followed by eight years in computer operations for a local Waco bank. Gary first joined Data Systems in 2004 as a Customer Support Analyst. He moved to the Projects and Escalation Team in 2015, then took over as Call Center Manager in 2017. Gary and his wife Ginger live just outside Waco. They have two sons three grandchildren. Josh joined Data Systems in 2015 as part of the Sharetec customer support team, transitioning to his current role with the acquisition of Data Systems Technology Solutions in 2016. 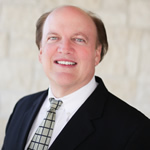 Since earning a degree in Communication from the University of Texas at Tyler, he has accumulated extensive communications and marketing experience in a variety of industries including franchising, home services, medical device sales, energy procurement, and non-profit development. Josh lives just outside Waco with his wife Robin and their three daughters, Noelle, Everly, and Charlotte.